Only one friend stands by her, a friend she’s known since high school, who encourages her to come home to Sonoma County. But starting over isn’t easy and Sonoma is full of unhappy memories, too. And people she’d rather not face, especially Riley Kerrigan. Riley and Emma were like sisters—until Riley betrayed Emma, ending their friendship. Emma left town, planning to never look back. Now, trying to stand on her own two feet, Emma can’t escape her husband’s reputation and is forced to turn to the last person she thought she’d ever ask for help—her former best friend. It’s an uneasy reunion as both women face the mistakes they’ve made over the years. Only if they find a way to forgive each other…and themselves…can each of them find the life she wants. 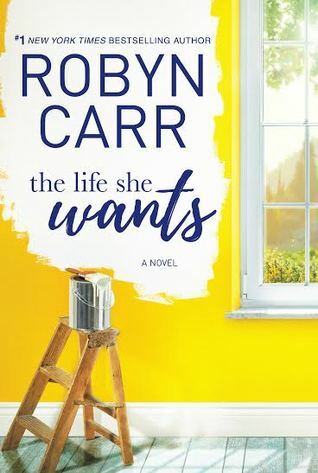 This entry was posted in Just An Opinion and tagged Contemporary Romance, Robyn Carr, The Life She Wanted by opesopinions. Bookmark the permalink. Oh, so good to hear!! We are going to the beach, hope to read it there.